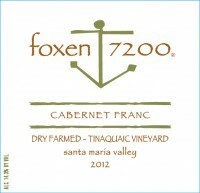 Our 2012 Cabernet Franc was recently mentioned in an article in the Santa Barbara Independent. 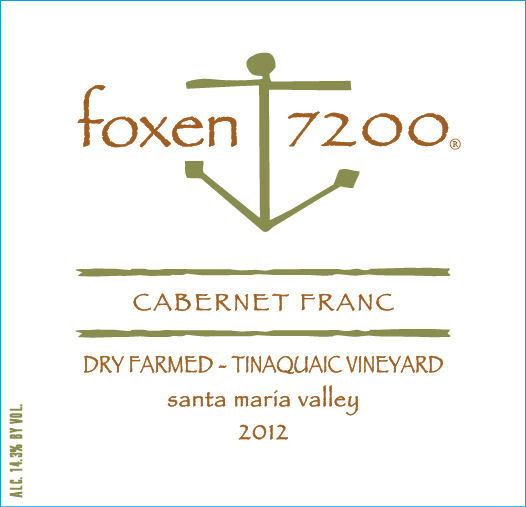 FOXEN has been producing a Cabernet Franc since the early 90’s and believe it is a very versatile wine that can be paired with many different types of cuisine. 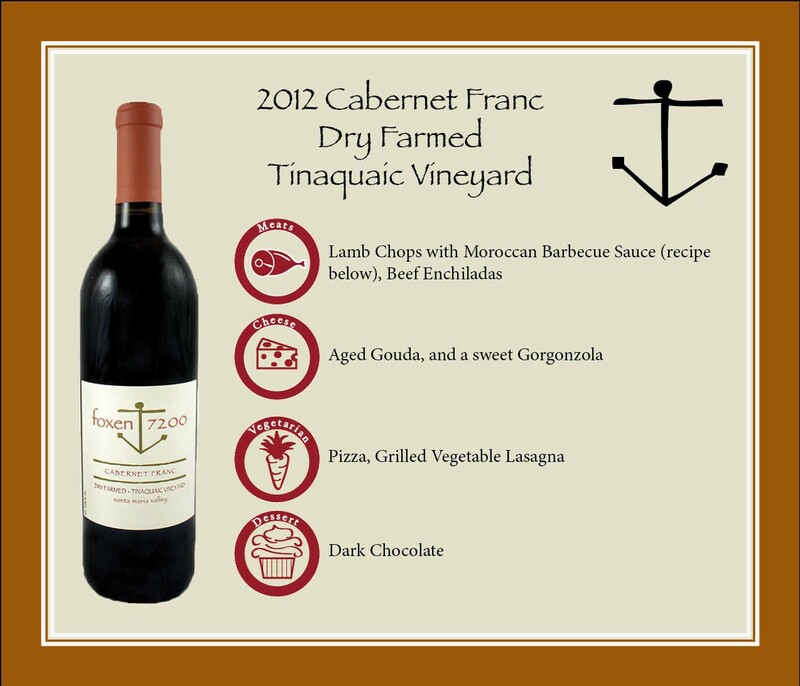 The recipe below for Lamb Chops with Moroccan BBQ sauce was mentioned in Sunset magazine as a great pairing for Cabernet Franc and we couldn’t agree more. Make a mint chutney marinade: In a blender, whirl 1 cup lightly packed rinsed fresh mint leaves, 1/2 cup olive oil, 1/2 cup chopped green onions (white and pale green parts), 3 tablespoons parsley leaves, 1 tablespoon lemon juice, 1 peeled clove garlic, 1 teaspoon salt, 1/2 teaspoon curry powder, and 1/4 teaspoon cayenne until smooth. Makes about 1 cup. Rinse lamb chops; pat dry. Place chops in a bowl with about 1/4 cup mint chutney; turn to coat. Cover and chill at least 4 hours or up to 1 day. 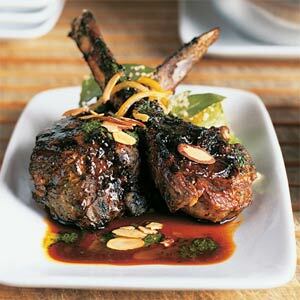 Lift lamb chops from bowl (discard any chutney in bowl) and sprinkle all over with salt and pepper. Place on a grill over a bed of medium-hot coals or medium heat on a gas grill (you can hold your hand at grill level only 3 to 4 seconds); close lid on gas grill. Cook chops, turning once, until browned on both sides but still pink in the center (cut to test), 9 to 12 minutes total. Place chops on plates and drizzle with Moroccan barbecue sauce; offer remaining chutney and sauce alongside. 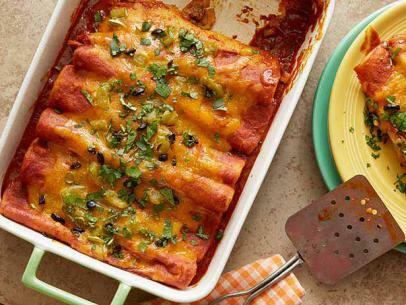 Bring to a simmer over medium-high heat; cook, stirring occasionally, until sauce is reduced to about 1 1/4 cups, about 15 minutes. Pour through a fine strainer into a bowl. Makes about 1 1/4 cups.